WISP Pendant is perfect for the woman who likes to wear unique, one of a kind pieces. WISP is repurposed from an antique silver plate tray. The silver plate has been treated to bring out this beautiful, rich copper damask pattern. 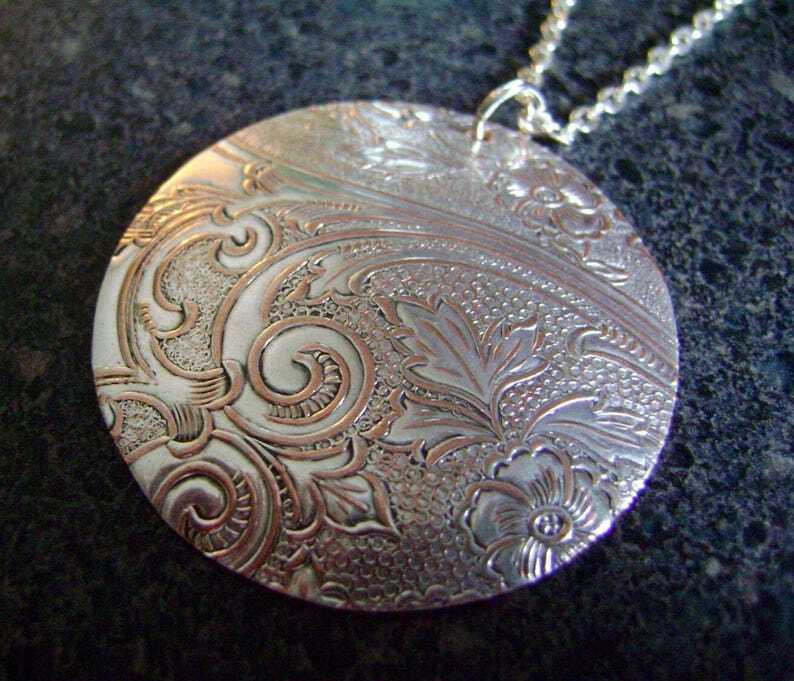 The stamped mandala-style pattern is vintage silver plate, with the pattern highlighted in copper. It has been sawed, filed, drilled, sanded and sealed this large pendant to create this one of a kind piece. WISP is shipped professionally tagged and boxed - Perfect for gift giving!